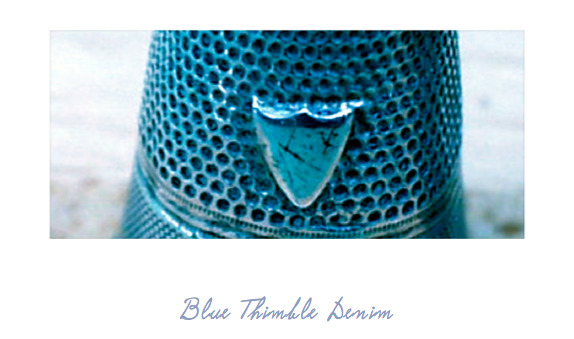 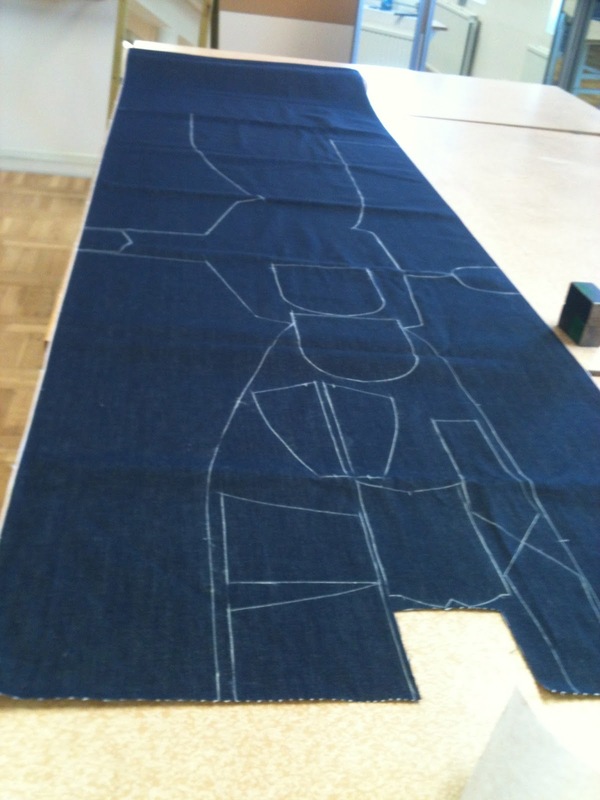 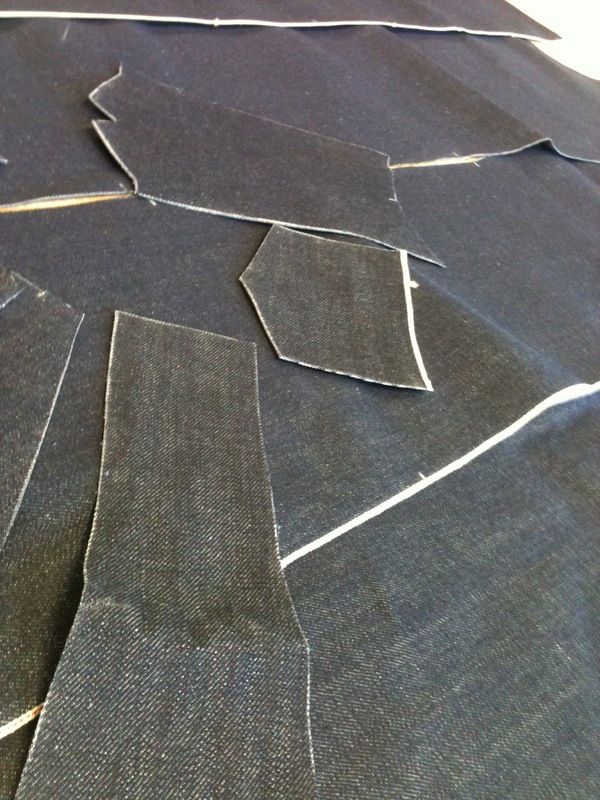 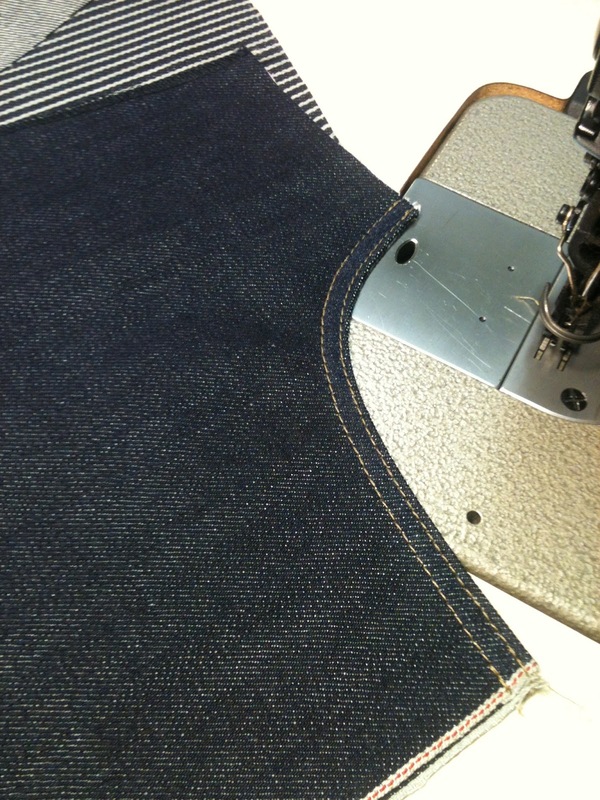 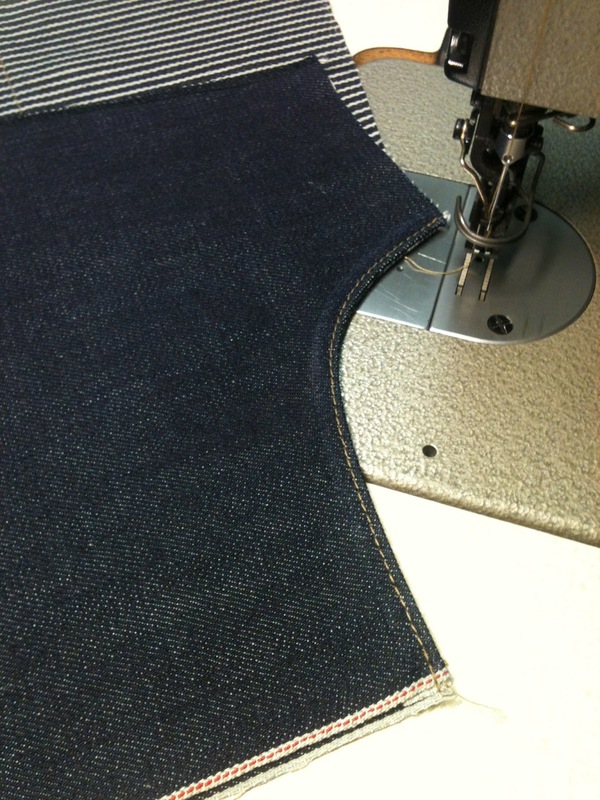 Blue Thimble Denim: Pants, pants, pants. The latest project is almost finished. And this is what I've done so far. 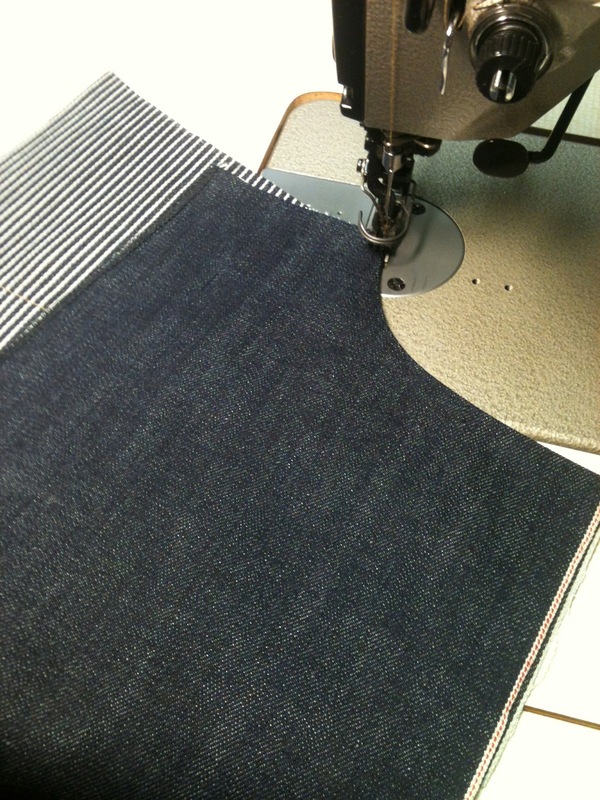 And HERE is a little hymn you can listen to while reading. 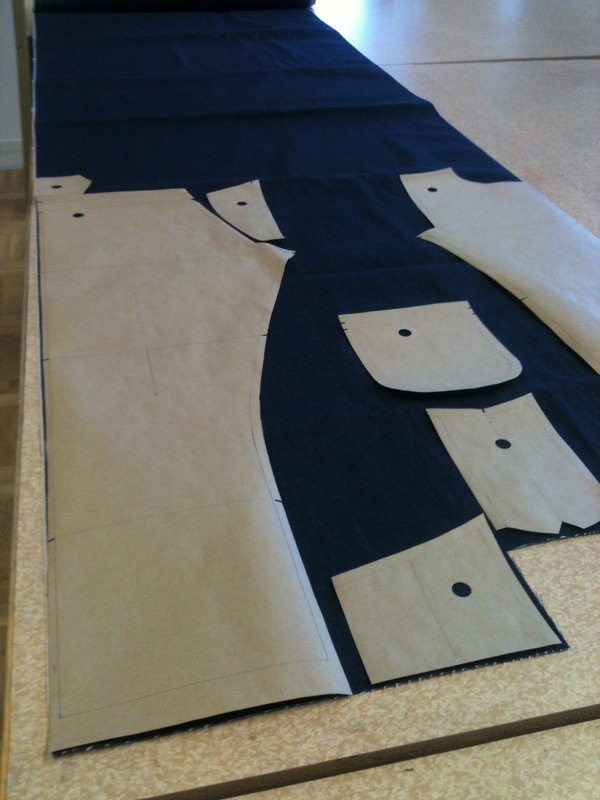 The placing of the pattern on the fabric is quite important, you need to follow the grain line and also place the pattern pieces tight so that the use of fabric is as little as possible. When all the pieces are cut out it's time to start with the sewing. I started doing the back, and the first thing was to attached the yoke. 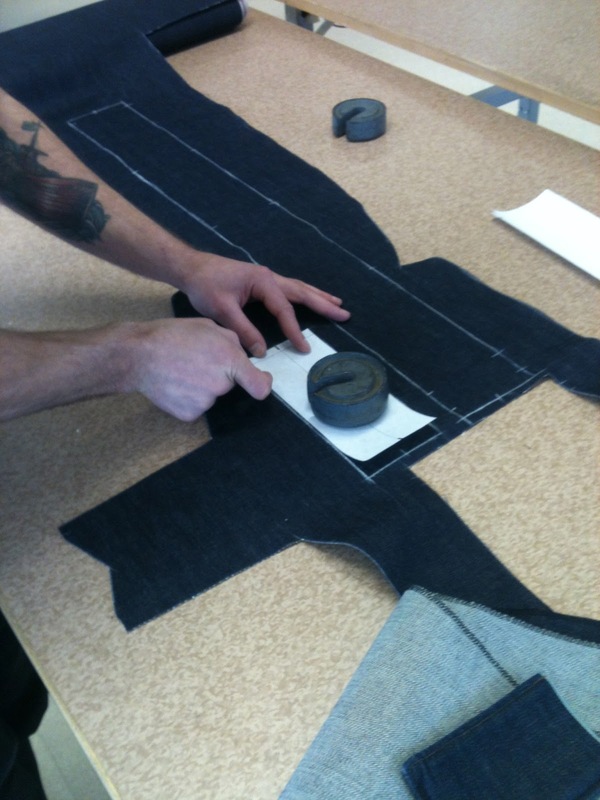 The arcuate fills not only a stylish purpose it's also a reinforcement for the pocket lining. 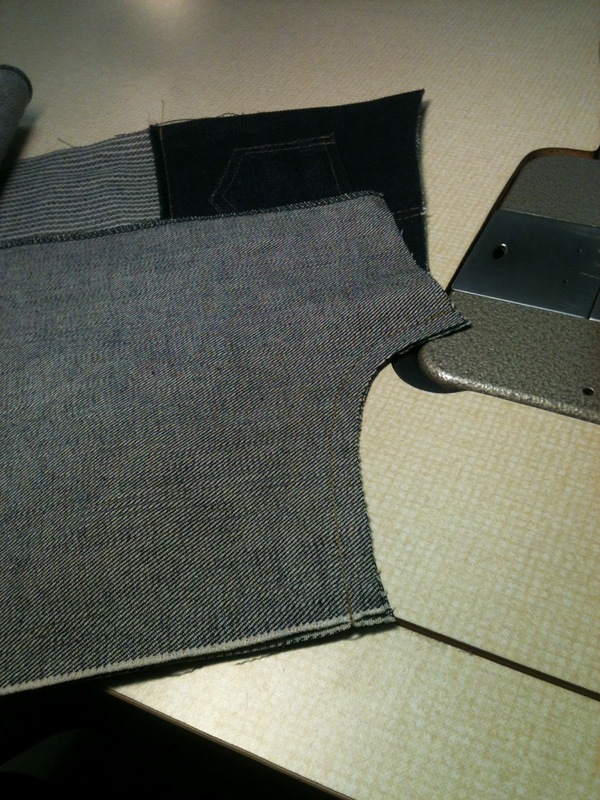 Now on to a bit more delicate thing, the placing of the back pockets. Since I also waned this model to have a feeling of the earlier part of the twenties century I placed the pockets a little closer to the outer seams. 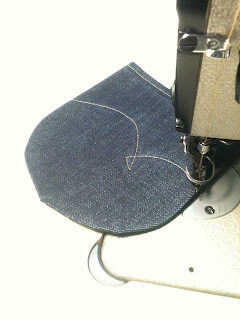 The making of the front pockets can be a bit pickle as well, there's a lot of steps to go throw to get it right. 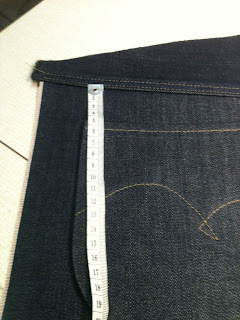 First you put your pocket sign on to the pocket lining. 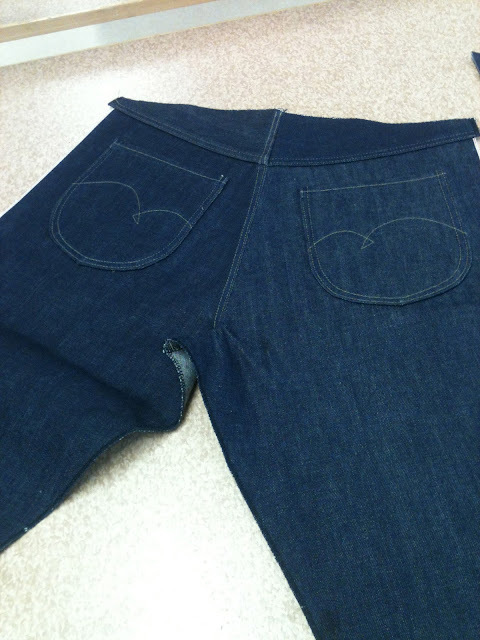 Then, if its your right pocket , you put you watch pocket on to the pocket sign. 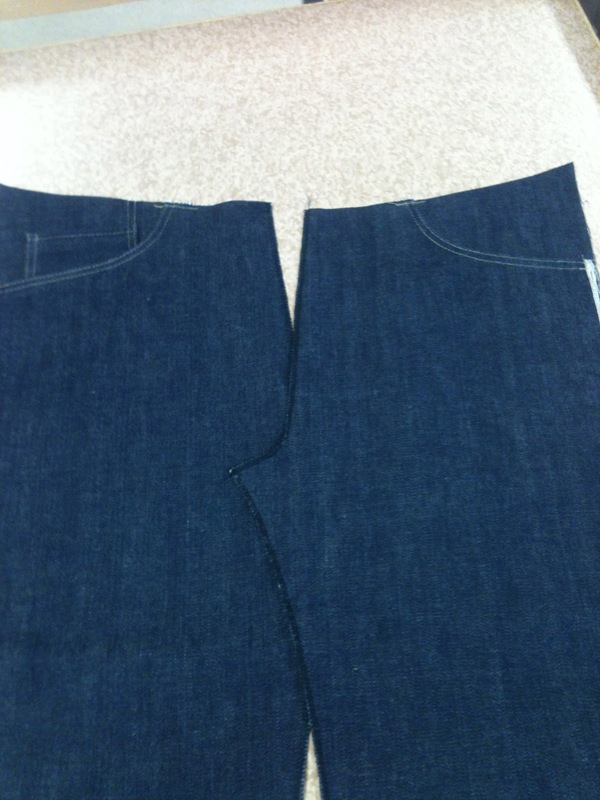 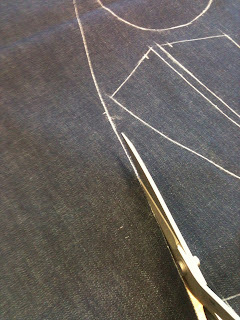 Now on to attaching the pocket lining to the front leg piece. 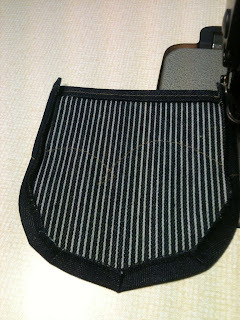 Flip it over and then make a stitching. 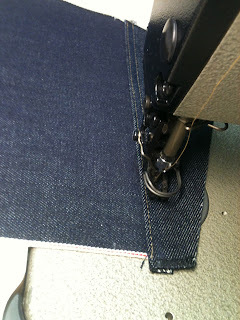 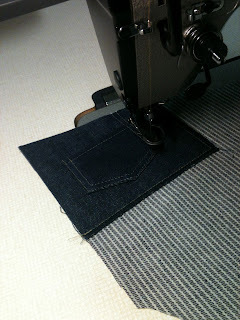 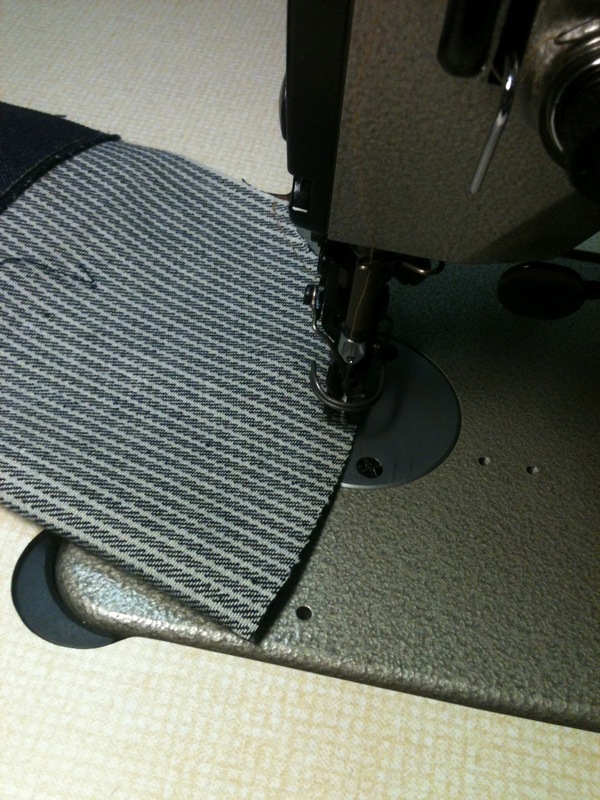 This first stitch is not so necessary it only makes it a little bit more durable. 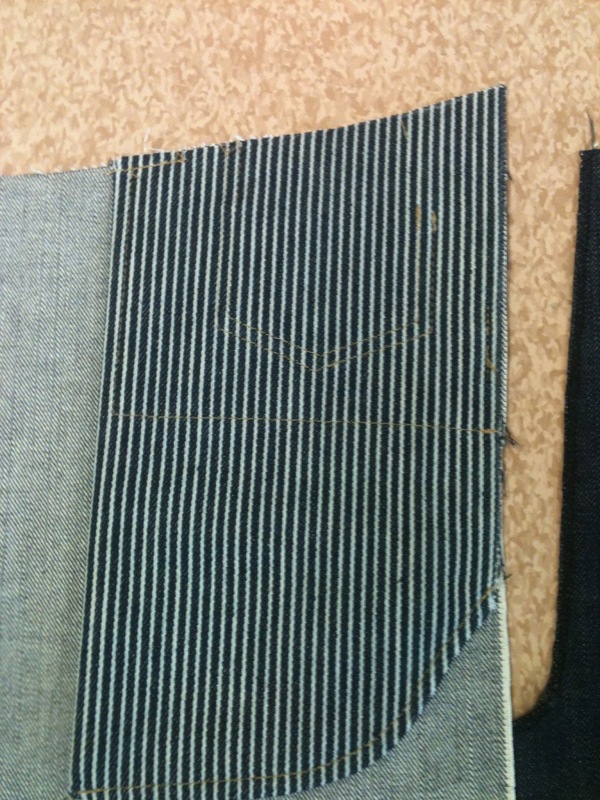 But this other stitch hide the raw edge. Now it's almost done, just need to close the pocket lining, and I did it first inside out and then I flip't it over to the right side and here to also hide the raw edges I did one more stitch. 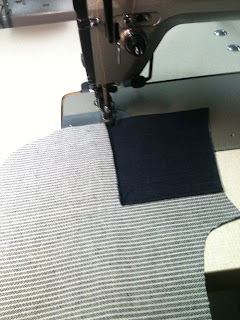 And this is how it turned out from the inside. The back piece almost done, needs a cinch and a few other details. 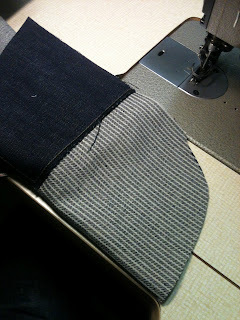 Right now I'm tucked down in my bed with a fever, but as soon as it's over I'll finished thees up.